Download the mp3 Audio from this interview right here! The Fit Marriage Show welcomes Steve Kamb, founder and Rebel Leader of NerdFitness.com and creator of the Rebel Fitness Guide. Steve approaches fitness from a different angle than what we have heard from many previous TFMS guests. 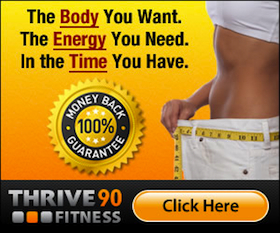 He sheds light on those who want to gain weight and muscle and shares how he has done it himself. Steve talkes about his love for gaming, computers, how he got started blogging and how you can pursue your passions while traveling the world. This interview is jam-packed with practical examples, tips and advice from one of the best personal trainers and travel hackers you’ll find online. Be sure to join the conversation by leaving a comment below. And please share this interview with your friends through Twitter and Facebook…the buttons are below for your clicking! I like what you are doing here. I am doing something similar over on my blog and my first interview with Steve. I really enjoy his blog. I enjoy the creativity. I need to get in contact with you. I have some technical questions. You have been doing this a little longer than me I can tell and I like your format. Plus I would love to have you on for an interview. Micah, thanks for checking FM out and glad you like what we are doing. Let’s get a date on the calendar for the interview as that would be very cool. 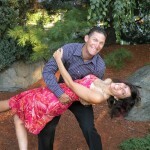 You can email me tony(at)fitmarriage.com for any of your technical questions. There is a learning curve, but once you get these down they are easy. Looking forward to chatting with you. Great interview. I am also a nerd, recently engaged, that is working to get fit and love the nice angle of both of your guys’ sites. Caleb, you cover the gamete of both NF & FM. Having Steve on the show was great and learning from him was cool. Congrates on your recent engagement, lots of good things will be coming your way. Anything we can do to help you get fit or insights on marriage let us know. Got Time for a Quickie? Enter your email below to get Free Instant Access to our popular 10-Minute Quickies blueprint!! 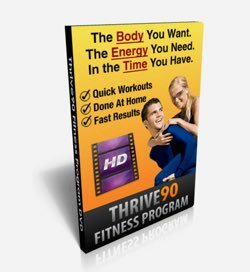 Share fun, fast & effective workouts with your spouse! exclusive fitness and family health tips.